7.50am – 8.20 am – this session is charged at £1.10 per session. 8.20 am – 8.30 am – this session is free. Doors close at 8.30. Please ensure that your child is at Breakfast Club by this time. 8.40 am – Junior children go out on the yard only when there is a teacher on duty. 8.40 am – Foundation Phase children are taken down to their respective classes by two members of staff where they are supervised. Breakfast is served at 8.10 am. Children can either have 4 pieces of toast or cereal and 2 pieces of toast. Gluten free choices are available (toast and cornflakes) however a note must be provided to school confirming that Gluten Free is required. 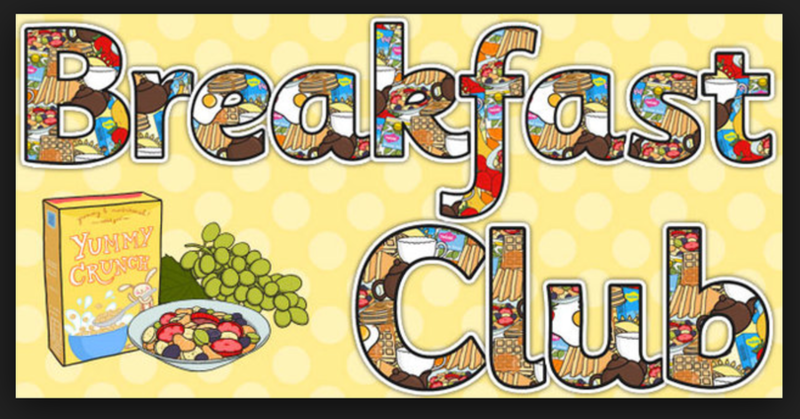 In order for our Breakfast Club to run smoothly we are now introducing a system where you will have to pay a week in advance for your children. PAYMENTS SHOULD BE MADE NO LATER THAN MIDNIGHT ON A SUNDAY FOR THE WEEK AHEAD. A payment transaction list will be handed to the Breakfast Club Supervisor on a Monday morning where she will confirm receipt of payment. If your child/children’s names are not on that list, then you will be asked to show confirmation of payment on your sQuid app on a mobile device. If you are unable to provide confirmation of payment then, you will be asked to return at 8.20 am for the free session. Children can bring their own toys to Breakfast Club, i.e. Colouring books/pens/paper, etc. Please note that electronic devices/mobile phones are not allowed in Breakfast Club. Children are to accept responsibility for their own toys.